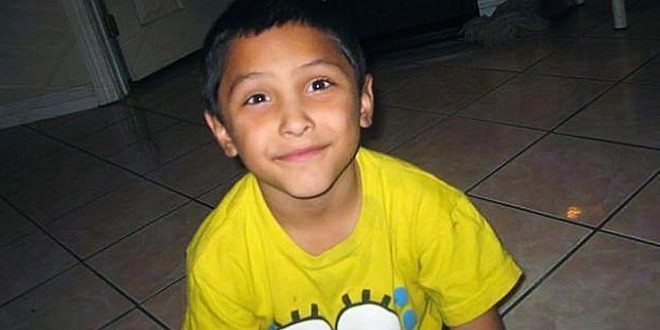 Guilty Verdict For Man Charged With Beating 8 Year-Old Boy To Death Because He Thought Child Was Gay - Joe.My.God. A 37-year-old man accused of torturing and beating his girlfriend’s 8-year-old son to death in a case that prompted far-reaching reforms of the county’s child welfare system was convicted Wednesday of first-degree murder. Jurors deliberated for about six hours before returning the verdict against Isauro Aguirre, also finding true a special allegation that the murder was committed with the infliction of torture. The jury must next determine whether Aguirre should be sentenced to death for the May 2013 death of Gabriel Fernandez, who was found unconscious with a cracked skull, three broken ribs and BB pellets embedded in his lung and groin when paramedics reached him at his Palmdale home. He was declared brain-dead and taken off life support two days later. Following the verdict, Deputy Dist. Atty. Jonathan Hatami embraced Gabriel’s father. In a press conference, the prosecutor grew emotional recounting the moment. Hatami said Aguirre couldn’t blame either drugs or mental health problems for his actions, and he added that Aguirre hated Gabriel because he suspected the boy was gay. The sentencing phase of the trial begins in two weeks. The mother will be tried for murder separately.